Should I be a staff member? Well I have been playing for about a week or so but I still like the server. Well I want to become part of the staff team because I think I can bring a lot of benefits to the server. I am really good with minecraft servers, I have my own But atm its down due to developing. I am also pretty good with config and I'm a really good building when it comes to that. I also want to be a part of the staff team because I think I have what it takes to run/config/build/ and much more. I think I should become staff on this server because I find and a lot of people find that I'm a really nice person and I really look out for the server that I'm staff for. 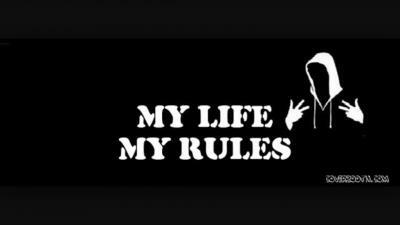 I am really experienced person and a really nice person but I will stick to the rules even if it makes 1-2 people hate me. Also My friend RaidsPvP is an Admin on my server and me and him know alot of stuff about minecraft servers so I hope you guys want me to be staff on here too.
. I Can again help the server by just Advertising and really looking out for the server like its my own. I can again help the server by helping out with anything in mind. Another thing I can help being a staff member is moderating the forums more often. Also just making a good community for the members to play. Last but not least I can help the server as a staff member by muting the racist people and muting who ever needs to be for whatever reason . So ya have a good day. Well at first I would Mute them for quite a while also after that what I would do if a player was spamming an ip in chat I would ask them to stop if they didn't I would kick them and say if you do it again It will result as a temp-ban or even a regular ban and if they did it again I would well like I said temp-ban or regular ban them for ip spamming. Well I do have skype but I will not say on this app due to personal reasons also I live in Canada and I'm a boy. Another thing you should know about me is of coarse my name is Taylor but please don't call me Taylor Swift or anything that really hurts my feelings. I believe that you have been banned before for hacking, I don't think it's best for you to become apart of our staff team. Denied for previous hacking on the server, and asking multiple times about the application.